Ikea is a chain of Swedish retail in-store restaurants with multiple food categories. The company sells about 150 million meatballs annually. A healthy diet is an ingrained part of the Ikea experience. The Ikea food offerings have expanded over the years and its stores now offer wide-ranging sustainable and healthy food source options. It’s better to be informed about some of the healthiest food than to end up in a restaurant where you eat a day’s salt in one sitting. Here are the healthiest foods choices at Ikea. Traditional Ikea breakfast contains cage-free scrambled eggs, hash browns, fried chicken sausages, buttered toast, and sliced tomatoes. The breakfast is readily available very early in the morning before the masses descend on the store. This dish rivals the meatballs in popularity. Start your day on a higher note with a healthy meal that contains fewer additives. Even better the fluffy eggs, crispy potatoes, and salty sausages fool your stomach into thinking you’re at your favorite local greasy store thus reducing the chances of eating junk. Meatballs at Ikea have lower calories count which surprisingly are good and healthy. They are served with mashed potatoes, cream sauce, steamed veggies, and sweet lingonberry jelly. The meatballs are made from beef, pork, chicken and salmon. They are said to be sustainably sourced and free of added hormones and additives. This is the most competitive meal at Ikea and its market continues to expand. Salmon fish cooked at Ikea restaurant are responsibly sourced from Aquaculture Stewardship Council certified farms. The dish is served with wheat pilaf and steamed veggies which should be eaten hot before the sauce sets. This is a healthy diet which, if eaten a couple of times a week, adds important nutrients to your body. Also, salmon can be made into tasty delicious meatballs which were recently introduced. 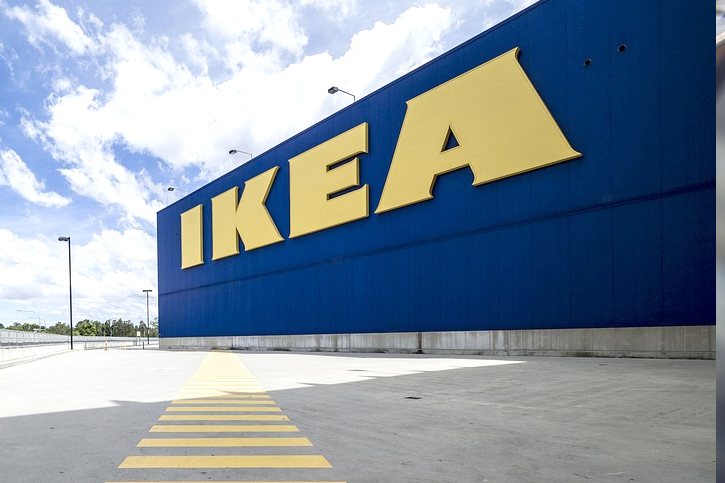 Try these meatballs the next time you visit Ikea. Whenever you feel the urge for a curry fix, eating this food item from Ikea can neutralize everything. Adding butter chicken to your shopping list can never disappoint. It’s made from organic chicken which is sourced from Canadian farms, smothered in a mild, and tomato accented butter chicken gravy. The chicken is served with basmati rice, warm, soft naan bread, and cooling yogurt. The meal price is relatively lower compared to the kind of food and service received. Ikea veggies dish can either be made into veggies balls or packed veggies hot dog which makes sustainable eating easy. Shopping this meal whenever you visit Ikea relieves you the need to remind your family to eat greens. The meal is plant-based meaning it’s simple, affordable and healthier. 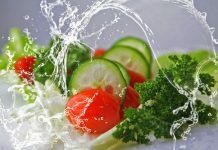 Plus, ingredients such as kales, lentils, quinoa, and onions are high in nutrition, and proteins which form a well-balanced diet. You should try Ikea veggies hot dog which contain all the above plant-based items. 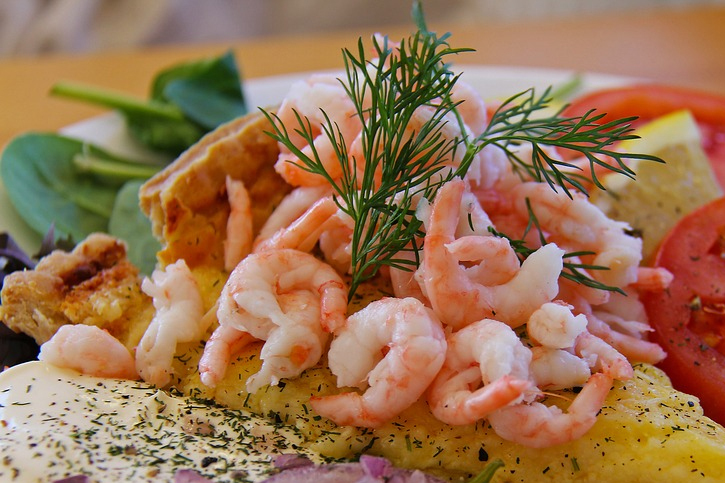 Due to unfamiliarity to butter and bread, Swedish shrimp sandwich is more likely to scare away prospective diners especially in Canada. This dish is probably the menu’s most authentically Scandinavian options. The meal contains baby shrimp, wild caught and certified as sustainable by the Marine Stewardship Council, then mixed with greens, hard-boiled eggs, and mayo slathered rye bread. The sandwich is dense in nutrients required for good health. This kind of yogurt can be easily confused with vanilla ice cream without even determining the difference. It’s super yummy and contains only 130 calories which makes it a favorite for both adults and kids. The dish contains dill accented cured salmon slice served with a spiced mustard dressing. Then it’s mixed with leafy green salad and a lemon wedge. This is perhaps the menu item most resembling the kind of dish you’d enjoy at a stokehold café. You should enjoy it with a glass of pear flavored sparkling Nordic fruit water for a nice lunch out with friends or family. Ikea is always committed to using seasonal ingredients hence helping the company meet regional or cultural taste preferences. Additionally, it’s focused on outpacing the sustainable development goal on food waste reduction by 2030. By mid-2020, the company pledges to reduce food waste by half. There are over 340 Ikea stores in 28 counties with the aim of providing sustainable food supply and good services to all. In addition to that, it’s committed to increasing organic options as well as studies that show how organic food is better for our health and for the environment. There are multiple varieties of dishes sold at Ikea which are organic including jams and coffee.